The Slow Food movement has issued a challenge to the way we eat. Its premise that sustainable, locally raised plants and livestock can transform this nation’s over-dependance on a globalized, national food industry that markets unhealthy fast food products has everyone rethinking what they eat and how they cook. In addition, the movement celebrates regional and traditional food products along with the personal history accompanying their preparation. Savoring our food, preserving old food ways and cooking methods and reflecting on how we source ingredients is at the very heart of the movement. So when I tell you that you can still march in the ranks of the Slow Food movement while accelerating cooking time, you might be a bit surprised. In this era of speed reading, speed walking, and even speed dating, you really can speed up the cooking process, yet stay true to the school of Slow Food, with an old-fashioned, ingenious piece of kitchen tech known as the pressure cooker. In today’s home kitchen, cuisine rapido is an obsession and much needed skill in our overbooked lives. The preponderance of cookbooks promising Quick and Easy, Quick and Healthy, or 1-2-3 meals tells us that we desire tricks for getting simple-to-prepare, healthy meals on the table. The set-it-and-forget-it ease of the slow cooker is certainly an option, but you will find that a pressure cooker delivers a complete, nutritional one-pot meal in minutes that is as good as the long, stewing variety. In 1679, during the reign of the English King Charles, a French physicist and mathematician named Denis Papin invented a cast metal furnace with a locking lid that raised the boiling point of water from 215º to 250º. The high temperature cooked and softened meat quickly, but this “digester” posed dangers of explosion, given the difficulty of regulating the steam pressure. Eventually, Papin invented a safety valve, but there was still the problem of cracks in the cast vessel. Despite earning him membership in the Royal Society after a successful demonstration of the device to King Charles and Society aristocracy, Papin never saw the complete success of his concept, though the science and application of his invention were established. The set-it-and-forget-it ease of the slow cooker is certainly an option, but you will find that a pressure cooker delivers a complete, nutritional one-pot meal in minutes that is as good as the long, stewing variety. But by the 1950’s, the pressure cooker was overshadowed by products such as frozen foods, boxed preparations, and other convenience foods which touted a “modern” and “healthy” approach to food preparation. When the interest for a natural and healthy approach to eating surfaced in the 1960’s and 1970’s, the pressure cooker re-appeared briefly, only to be overshadowed by the arrival of increasing fast food options, the slow cooker crock pot, and the microwave oven. Once again, the pressure cooker retreated to the bowels of the kitchen cupboard. Considered old fashioned and not a major go-to appliance, some women were simply reluctant to use a mechanical device which sent out a plume of steam from a jiggling valve and sputtering top. 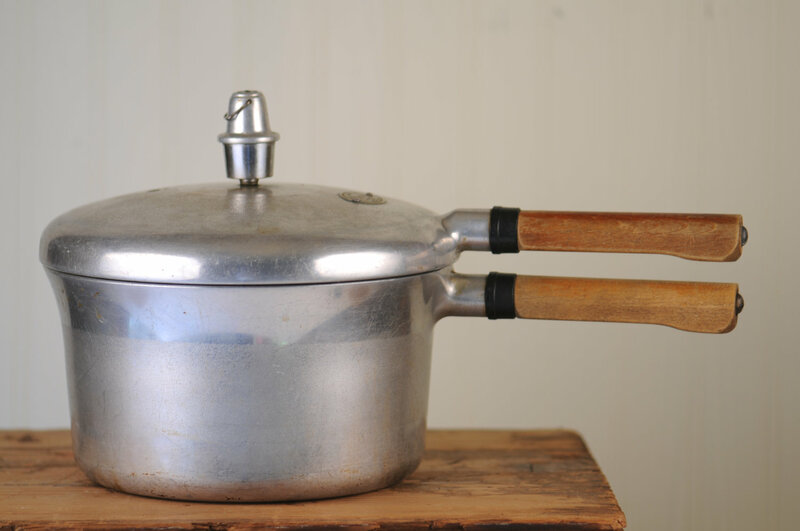 While most Americans kept grandmother’s pressure cooker stored in the cellar, European and Asian manufacturers perfected the device, still found in most homes abroad. Why is this old-fashioned cooking method suddenly popular again today? New models have improved with the advent of better safety-valve design, nonstick surfaces, low noise, ease of use, and even electric models. Today, these new generation, high-end pressure cookers are being exported to America. The pressure cooker of old that rattled, belched, and steamed on the stovetop is a thing of the past. 1) You will eat healthier food in less time. Food cooks in up to 70% less time. 2) You can save money. A quick cooking time means saved energy by using two-thirds less energy. Eat faster and pay less. 3) Less heat escapes into your kitchen. 4) Cheap cuts of meat can be turned into tender, better tasting dishes by the enhanced flavor. 5) Economical whole foods like dried beans, grains, root vegetables, and rice are quick dishes. 6) Flavors are preserved as the food cooks in its own juices, not diluting liquids, producing a rich gravy. 7) Modern pressure cookers are a multi-purpose pot and not just for steaming. They can be a Dutch oven, sauce pan, or a baking pan. 8) Pressure cookers are a quick way to can or preserve foods. Cooks can count on making better tasting, nutritious food in the fraction of the time with a pressure cooker. My mother’s pressure cooker was a slightly bent, aluminum affair with a dimpled surface. I remember the clickety clack of the dancing safety valve as the steam escaped. She still talks about the pot roasts and potatoes she cooked in it. When she offered me the cooker and food-stained manual with recipes, I declined, foolishly. It just seemed too passé, too complicated. But since then, I’ve enjoyed two memorable meals made in a pressure cooker. I once prepared a succulent pork posole with a Pueblo Indian woman at her reservation home in New Mexico. In fact, I was so enamored of this meal steeped in tradition, and so grateful for her day of cooking instruction, that I gifted her a new pressure cooker to replace her flimsy, worn-out model. Frankly, I’d be surprised if she gave up her ailing, tried and true model for the new one. I enjoyed another memorable dish of a tender, rosemary pork roast braised in milk. It was prepared by a Roman woman who hosted me during my first visit to the city. I still can’t get that dish and its sweet, rich and creamy sauce out of my mind, and I’ve included the recipe below. The popularity of the pressure cooker is, well, exploding. 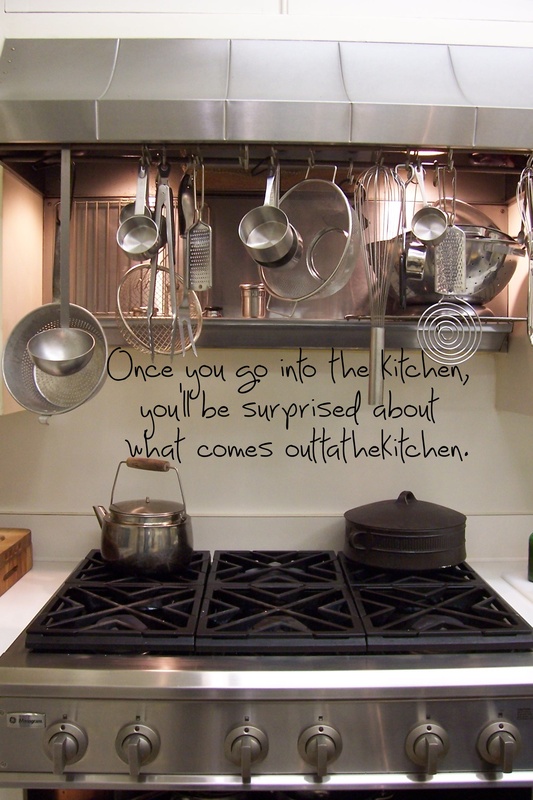 As a cooking technique, it is wonderfully in sync with the emerging, modern food philosophy. With so many excellent models (see What to Look for in a Pressure Cooker, America’s Test Kitchen, www.youtube.com/watch?v=IiCUKA7dDUs) to choose from, the convenience of a fast, whole food meal is accessible and easy to schedule into our busy lives. A pressure cooker could just be a modern kitchen’s best kept secret. This recipe is adapted from The Classic Italian Cookbook by the late, great Marcella Hazan. The dish is excellent served on a base of warm polenta with a sauté of Porcini mushrooms. It’s hard to believe this company’s coming dish only takes about 40 minutes to cook, thanks to the magic of the pressure cooker. 1.In the pressure cooker, with the lid off on medium-low heat, melt butter and oil. 2.When the butter is melted add the meat, fat side facing down first. 3.Brown the roast thoroughly on all sides, and finish on the side where you started. 4.Add the salt, pepper, bay leaf and milk pouring it on top of the roast and adding enough for it to cover the roast by half. 5.Close and lock the lid of the pressure cooker. Turn the heat to high and when the pressure cooker reaches pressure lower the heat and begin counting 30 minutes cooking time at high pressure. 6.When time is up, open the pressure cooker with the Natural release method – move the cooker off the burner and wait for the pressure to come down on its own (about 10 minutes). For electric pressure cookers, when cooking time is up count 10 minutes of natural open time. Then, release the rest of the pressure using the valve. 7.Move the roast to a serving dish tented with tin foil to rest. 8.Let the sauce cool and spoon out the fat, discard the bay leaf and reduce the sauce in the open pressure cooker, if needed. 9.If you do not like the coagulated milk clusters, whisk in some fresh milk or cream or break them up with a stick blender. Taste to check seasoning and add any additional salt, if needed. 10.Slice the roast and arrange on platter. Pour on the warm sauce and serve.